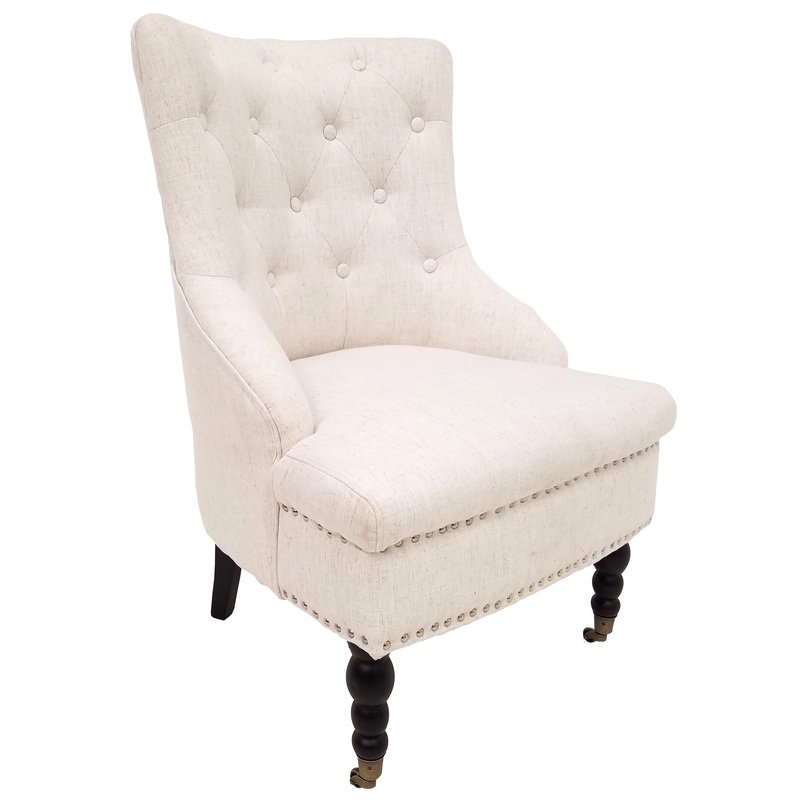 A small scale creamy white accent chair with front wheel castors. A simple chair that will compliment any room. Great as captain chairs in a dining room. 17" x 24" x 36"